BROOKLYN, N.Y., Sept. 28, 2018 (GLOBE NEWSWIRE) -- Dime Community Bancshares, Inc. (NASDAQ: DCOM) (the “Company” or “Dime”), the parent company of Dime Community Bank (the “bank” or “Dime”), announced the appointment of Barbara G. Koster to its Board of Directors effective as of September 27, 2018. 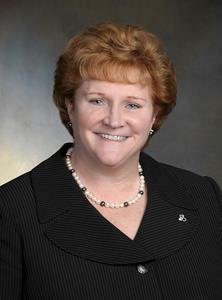 Ms. Koster was also appointed to the Board of Directors of the bank. Ms. Koster serves as Senior Vice President and Chief Information Officer for Prudential Financial, Inc. As head of the company’s Global Business & Technology Solutions Department, Ms. Koster exercises oversight responsibility for information technology, including cyber security, technology governance, architecture and standards, at Prudential locations worldwide. Ms. Koster also oversees the company’s global networks and data centers. Additionally, she leads the company’s Office of Veterans Initiatives, a program that helps veterans transition from military to civilian life. Ms. Koster is chairman of the board of Pramerica Systems Ireland, Ltd. and a founding member of Prudential Systems Japan, Ltd., both technology subsidiaries of Prudential Financial, Inc.
Ms. Koster has a Bachelor’s Degree in Business Administration, an Associate’s Degree in Computer Technology and an Honorary Doctorate of Humane Letters from St. Francis College. The Company had $6.25 billion in consolidated assets as of June 30, 2018. The bank was founded in 1864, is headquartered in Brooklyn, New York, and currently has twenty-nine branches located throughout Brooklyn, Queens, the Bronx, Nassau County and Suffolk County, New York. More information on the Company and the bank can be found on Dime's website at www.dime.com. Contact: Patricia M. Schaubeck, Executive Vice President-General Counsel, (718) 782-6200, extension 5927.